alternative, and livelier option to Oludeniz. arrange you a private transfer. 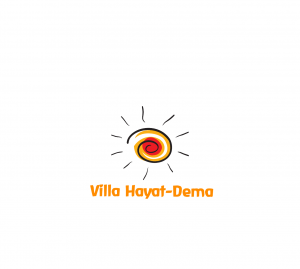 lowered so you can often pick up some great deals when booking a flight to Villa Hayat-Dema. homeward journey, as you can then choose the best option for both times and prices. Onur Air, Pegasus Airlines, Viking Airlines, Freebird Airlines and Jet2.com. in Hisaronu, you’ll find there’s always plenty to see and do in the surrounding region. 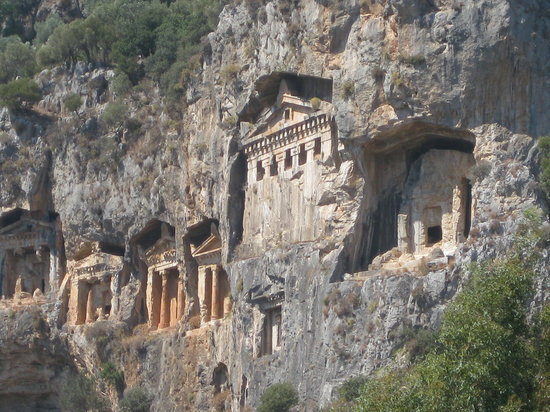 There are numerous historical and ancient sites within striking distance of Villa Hayat-Dema, ut the closest (just a couple of miles away) is the ghost town of Kayakoy. This is not an ancient historical site, but reflects far more modern history. Visit this, one of the area’s top tourist attractions while on holiday in Hisaronu, and you’ll find hundreds of abandoned homes and buildings that have lain deserted since an agreement between the Greeks and the Turks in 1923. The large village is now preserved as a museum. Fethiye. This is an ancient market town and has several historical attractions to visit. missed during your Hisaronu holiday. Roman amphitheatre and from more recent history, a medieval fortress. With the perfect selection of restaurants, you could be eating out somewhere different every night of your holiday in Hisaronu! This popular hillside tourist village definitely has something to suit all tastes. What kind of cuisine is served in Hisaronu? Hisaronu really does have something for everyone, and this is just one of the reasons why this destination is so popular with holidaymakers of all ages and backgrounds. The village grew mostly because of the demand from British tourists, so as Brit you can rest assured that you’ll enjoy a holiday in Hisaronu! What this means is that there are numerous places aimed at the British, so you’re particularly well catered for if you prefer to stick to what you know. If you and your family want a traditional British meal you’ll find several restaurants in Hisaronu that will suit you to the ground. Aciktim Del Boys is one such restaurant where British food is served in a fun family atmosphere. But if you’ve been out-voted on the restaurant choice don’t worry, they also serve local cuisine if you fancy something different. There are also restaurants in Hisaronu selling other cuisines too, such as Italian, Chinese and Mexican, and of course numerous restaurants that are more typically Turkish. Though there may be other tasty cuisines to tempt you, you really should savour the delights of some Turkish cuisine when on holiday in Hisaronu, as you may be surprised at just how good it is! Traditional Turkish cooking usually makes use of lots of vegetables and meats, such as stuffed peppers, stuffed vine leaves, aubergines and more. Everyone knows that the Turks are famous for kebabs but you probably don’t realise just how many different kebabs there are. Main meals are usually served with rice and a side salad, but for a good selection of tasters you should choose a mixed starter (called meze), and share it amongst you. Deserts are also very tasty in Turkey. The Turks do love things sweet, so if you don’t have a sweet tooth you may be better avoiding deserts altogether! Baklava is one of the top favourites – this is filo pastry wrapped together with honey and usually pistachios, but there are varieties with different nuts too. Seafood could be argued as traditionally Turkish too, and though there will be restaurants in Hisaronu serving seafood, the best experience is to dine in one of the coastal restaurants such as in Oludeniz or Fethiye. As Hisaronu has essentially built up as a tourist resort village you’ll find this popular hillside village has more than just great views on offer! Holidays in Hisaronu are best renowned for their vibrant nightlife, plus you’ll find a good selection of shops and restaurants to suit everyone’s tastes and budget. This bustling village is a great place to go shopping and has many shops catering to the tourist. 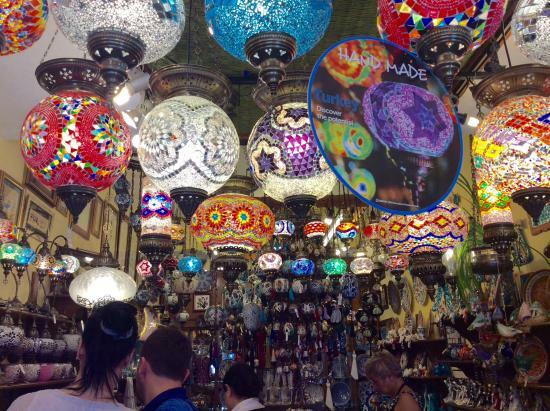 You’ll find countless stores where you can purchase your typical Turkish souvenirs, such as Turkish delight, apple tea, and cute ceramics, all at affordable prices. If you’re looking for something of a higher quality you will also find stores that sell local hand-made crafts too. There are several other things that Southern Turkey is renowned for when it comes to shopping, and Hisaronu is no exception…. Designer name clothing is always easy and cheap to buy, and although it’s not official it’s almost always of a very good quality. T-shirts are particularly popular. Leather goods are also of a good quality and often cheaper than in many other destinations. If you like the smell of leather you’ll love shopping in Hisaronu! Jackets, bags, belts and wallets are by far the most popular leather items to buy. You may also have heard that Turkey is a great place for buying jewellery and, again, shopping in Hisaronu is no exception. There are numerous jewellery stores where you can buy very good quality gold and silver items at lower prices than most countries, so save your pennies before coming on holiday in Hisaronu! Shopping in Hisaronu offers a good variety but it’s sometimes nice to browse the shops elsewhere. Fethiye is the ideal place to visit and it’s quick and easy to get to via regular dolmus services. 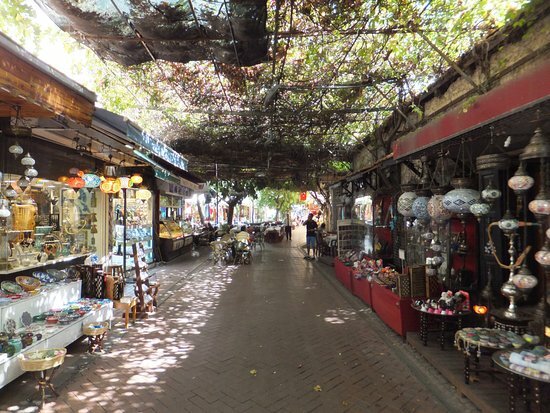 Fethiye has many stores selling similar wares to Hisaronu, but in addition it has a market and bazaar to visit. If you want to go to Fethiye Market, come to the town on a Tuesday as this is market day, or visit the historic bazaar down by the waterfront on any day of the week. Shopping in Turkey is Fun! It’s always great to pick up a bargain, and when you’ve haggled down the price it feels like an even better bargain! Southern Turkey is the perfect place to put your bargaining skills to the test because 9 times out of 10 the seller does not expect for you to pay the first price he says! Haggling for goods has become somewhat of a part of culture in Turkey, so you really should give it a go, and don’t worry, it’s good fun! Oludeniz is famous for its Blue Lagoon and stunning scenery, while Hisaronu is famous for its nightlife! This tourist village really comes into its own at night, not only attracting holidaymakers who are staying in Hisaronu itself, but attracting many people up from the coast in Oludeniz, and even Fethiye. Drawn by the bright lights, music, and late opening, Hisaronu’s nightlife is legendary! Though busy by day, Hisaronu reveals its true colours by night! It may only be a village, but Hisaronu has the most popular nightlife in the Fethiye area and though the nightlife here caters to many tastes the British are targeted in most of the bars and clubs. Some restaurants have bars attached, so you may find you don’t have to move far for an enjoyable evening! If music and a busy dance floor is not your thing there are many bars and pubs in Hisaronu offering a slightly different experience, and Villa Hayat-Dema is close enough to the nightlife if you want to experience it … but far enough from the nightlife if you don’t! There are quieter establishments, but from 10pm onwards you’re almost guaranteed some kind of party atmosphere, wherever you go! Don’t be surprised to see tourists dancing on the bar with the waiters, as this takes place nightly in a number of bars. Bar Rumba is one such place, and on certain nights of week they also have foam parties. By midnight the bars nearly all have a nightclub atmosphere, with loud music, affordable local drinks, and lots of dancing. And in many places you’ll be rubbing shoulders with the friendly locals who like to come out and have a good time too. An evening out in Hisaronu is a fun and long-lasting experience as the majority of places are open until very late – not closing their doors or turning down the music until the wee hours of the morning!